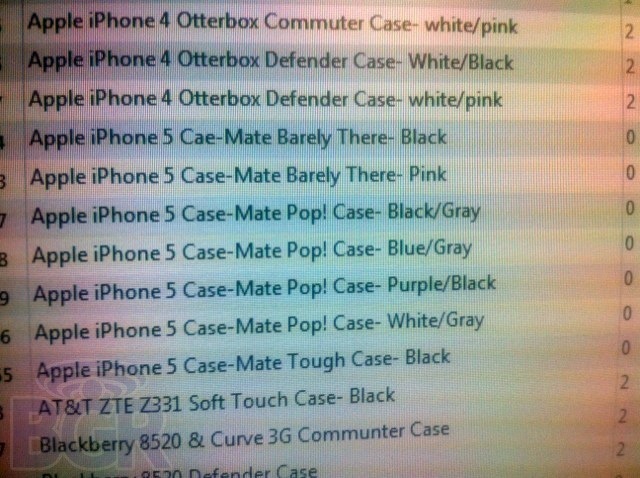 Adding to TiPb’s AT&T store inventory report from earlier this week (above), BGR has posted an image (below) of Case-Mate’s apparent iPhone 5 cases listed in AT&T’s inventory system. The leak comes before Apple’s announcement of the iPhone 5 and/or iPhone 4S Tuesday. MacRumors mentions three different iPhone 5 case designs listed in AT&T’s inventory system, the Barely There, Pop!, and Tough cases, so an iPhone 5 could make sense. Next Tuesday is sure to be a big event, but in the meantime read what we know about Apple’s newest iPhone.